Our reading load has begun to taper off with the expectation of more assignments due in the coming weeks: an image and design assignments, plus the looming final project. In light of this, my viewing of Lynda.com and messing around with Photoshop has increased proportionally. 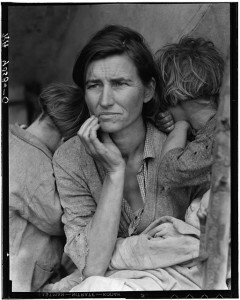 Speaking of practical photoshop techniques, I enjoyed Cameron Moll’s “vintage” suggestions and intend to employ them in my upcoming assignments. When I saw the “2004” date on his posts, I was extremely skeptical. Fortunately, neither the advice, nor the design was stale (I wish I could say the same for his links to “other experts“- all broken). The sharpened blur and “machine wash cycle” are really great image effects which should work well in my design (maybe a fake vintage beer label similar to Moll’s example?). For the image and design assignments, I think I’m going to re-design a website for my side gig/hobby: beer history consulting. 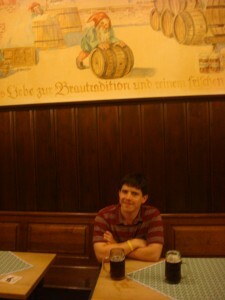 I created a website banner using this photo from the incredible and historic Schlenkerla Brewery in Bamberg, Germany. 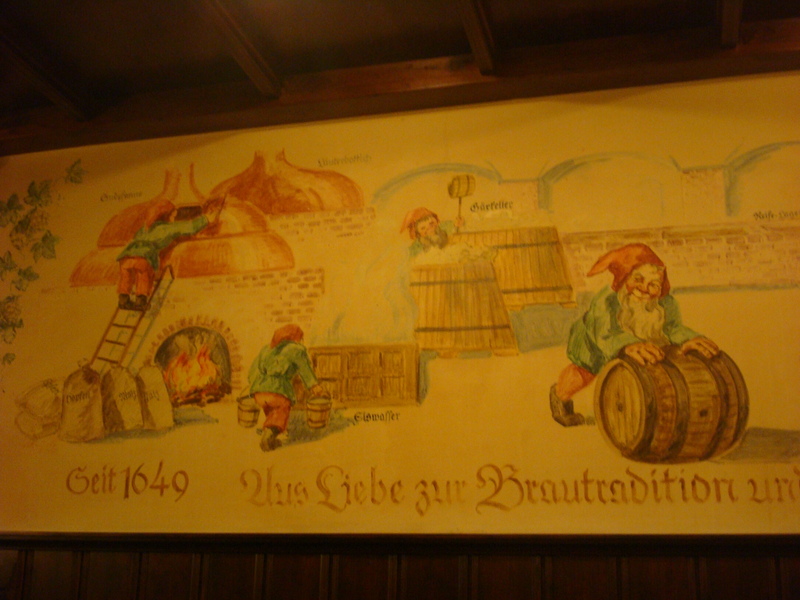 A mural of gnomes brewing beer at the Schlenkerla Brewery in Bamberg, Germany. Here’s another picture to give you an idea of the scale of this incredible mural. Of gnomes. Making beer. A photo with the author at Schlenkerla. My original attempt wasn’t bad, but with my new skills and more work, I think I’ll be able to do a much more interesting header. I really like the colors in the banner, so hopefully I can use these earthy yellows and reds (I know.. everyone in class is using earthtones). If anyone has other design suggestions, please leave them in the comments.